Literacy and Laughter - Celebrating Kindergarten children and the books they love: The Cutest Turkeys on Planet Earth! The Cutest Turkeys on Planet Earth! My son, Scott, and one of my kindergarten friends, Emma, said that these are "the cutest turkeys on planet earth" so it must be true! The students used fun scrapbook paper to make their turkey's beautiful feathers. They all just L-O-V-E-D creating these funky turkeys and I love the fact that no 2 turkeys are the same. Some of the students wrote signs for their turkeys to hold. SUPER CUTE! I love that you used scrapbook paper for the feathers - that is such a great idea! 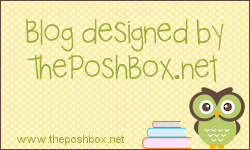 I really enjoy your blog and can't wait to see the other wonderful ideas that you have. Hi April. Thanks for checking out my blog... and for your kind words. 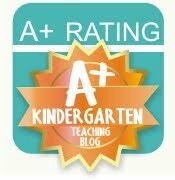 I am really enjoying blogging about our adventures in kindergarten. When I saw the cute scrapbook paper at Michael's I knew it would make gorgeous turkey feathers. : ) I just love that all of the turkeys look so different from one another. Hooray! We live in Milford now!! Do you teach in Little Miami? Unfortunatley, I don't teach in the Little Miami district. :( I did my students teaching there about 4 years ago though. Right now, I am teaching 1st grade at a charter school in Over the Rhine. Let me tell ya - it is TOUGH! I'm *REALLY* hoping to find a job in a district next year. I've got my fingers crossed!